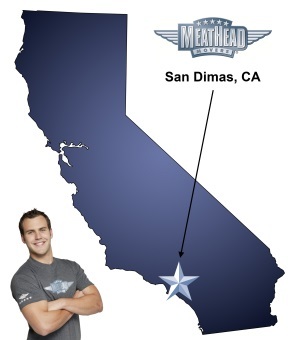 Whatever your moving needs may be, Meathead Movers will help you feel at home in San Dimas. Our professionally trained student-athlete movers and our moving concierge will be with you for the entirety of your move to San Dimas. If you enjoy plenty of sunshine, walks in the park, and golfing on the weekends, San Dimas is the place for you. From San Dimas Canyon Park to Raging Waters, moving to San Dimas offers a variety of outdoor activities for you and your family. With La Verne and Pomona nearby, you have even more exciting recreational spots, shopping malls, and restaurants to visit. The move to your new city doesn’t have to weigh you down when you let the Meathead’s San Dimas movers team do the work for you. From the Frank G. Bonelli Regional Park to the Louie Pompei Memorial Sports Park, San Dimas has plenty of places to enjoy the outdoors. Take your family for an adventure at the local water park or go horseback riding around Puddingstone Reservoir. Get to know your community at the Via Verde Country Club or the Mountain Meadows Country Club. With two major golf courses nearby, you can make every weekend your own golfing get away. This place offers something for everyone, and Meathead wants to be your San Dimas movers team and welcome you to the city. Although the city of Los Angeles is only a drive up Interstate 10, San Dimas offers quiet neighborhoods and outdoor parks away from the city; it also has a good school district and a variety of local colleges and universities. If you enjoy sporting events, head to Los Angeles to watch the Lakers, the Clippers or the Dodgers play. Alternatively, check out the University of Southern California Trojans or the UCLA Bruins football teams in the fall. Don’t let moving to San Dimas break your back; let Meathead Movers handle the heavy load. We specialize in local, long-distance, and commercial moves to, from, and within San Dimas. We also provide reliable packing, storage, on-site relocations, and our distinctive moving concierge service, which connects you with local service providers. All our student-athlete movers are thoroughly screened and trained before their first move. With branches not just in San Dimas, but all throughout California, we are your one-stop resource for all your moving needs, no matter where your California move takes you. In fact, you can see what your neighbors in San Dimas have to say about us. With our 100% satisfaction guarantee, the only thing you have to lose is the stress that comes from moving! So contact us today for a free no-obligation moving quote and to learn how we can help you on your next move! Moving to San Dimas? Here are some helpful resources. View more San Dimas resources. Comminication was fantastic! Guys did a great job!